When Raymond Carver died at age fifty, readers lost a distinctive voice in its prime. 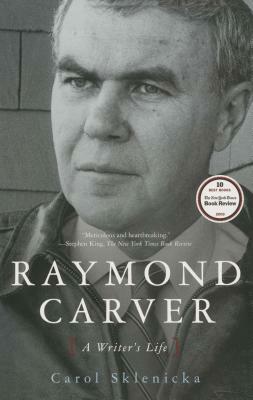 Carver was, the Times of London said, "the Chekhov of middle America." His influence on a generation of writers and on the short story itself has been widely noted. Not so generally known are how Carver became a writer, how he suffered to achieve his art, and how his troubled and remarkable personality affected those around him. Carol Sklenicka’s meticulous and absorbing biography re-creates Carver’s early years in Yakima, Washington, where he was the nervous, overweight son of a kindly, alcohol-dependent lumbermill worker. By the time he was nineteen, Ray had married his high school sweetheart, Maryann Burk. From a basement apartment where they were raising their first child and expecting their second, they determined that Ray would become a writer. Despite the handicaps of an erratic education and utter lack of financial resources, he succeeded. Sklenicka describes Carver’s entry into the literary world via "little magazines" and the Iowa Writers’ Workshop; his publication by Esquire editor Gordon Lish and their ensuing relationship; his near-fatal alcoholism, which worsened even as he produced many of the unforgettable stories collected in Will You Please Be Quiet, Please? and What We Talk About When We Talk About Love. She examines the dissolution of his first marriage and his partnership with poet Tess Gallagher, who helped him enjoy the full measure of his success. Carol Sklenicka draws on hundreds of interviews with people who knew Carver, prodigious research in libraries and private collections, and all of Carver’s poems and stories for Raymond Carver. Her portrait is generous and wise without swerving from discordant issues in Carver’s private affairs. Above all Sklenicka shows how Carver’s quintessentially American life fostered the stories that knowing readers have cherished from their first publication until the present day. Carol Sklenicka is the author of Raymond Carver: A Writer’s Life, which was named of one of the 10 Best Books of 2009 by The New York Times Book Review, and Alice Adams: Portrait of a Writer. She lives with poet and novelist R.M. Ryan in northern California.